Located on the Maumee River with access to Lake Erie. Many ports in Northern Europe are closer in nautical miles to Toledo than they are to coastal U.S. ports. Experience less traffic congestion issues than other ports on the coast. Centralized location allow reduced transit time to your facilities. 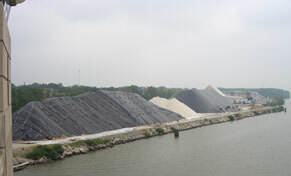 Our marine terminal is located at 1900 North Water St. Toledo OH 43611 on Lake Erie. 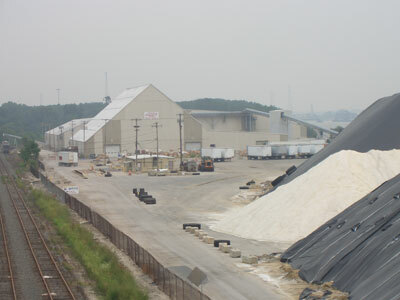 The Arms Dock is centrally located to serve many industries in the United States and around the world with their material transporting needs. On dock rail connection with Norfolk Southern with the ability to handle 14 cars. Lift, load, transfer and reload. We move material or store it - as you need it. 24/7 service. We have the capabilities transfer your materials between rail, trucks or ships. We can accommodate fully loaded 675 foot vessel.